As far as home theaters are concerned, digital projection is the current king. Projectors are available that display 3D or 4K movies, giving you an experience like no other. Since the projector is the most expensive part of your setup, it’s easy to focus all of your energy researching which projector to buy. But your screen actually has just as much of an effect on the experience as the projector itself. A top of the line 4K projector will probably disappoint you if it’s viewed on a poorly made screen. Unfortunately, projection screens can’t simply be categorized into “good” and “bad”. Finding the best one requires you to consider a few different factors. First, think about where you’re going to use it. If you’ve got a room that’s dedicated to home theater, you can probably get away with a large wall mount model. But if you’re looking to save some space, a roll down screen is much more compact when not in use. Additionally, screen material is a major factor. Inexpensive material won’t be quite as detailed, limiting its functionality with 4k content. If you want colors that come to life, you’ll probably want to splurge on a specially designed material for projection use. There are literally hundreds of projection screens on the market, each of them claiming that they are the best. How do you make sense of it all? Simple, read on where we’ve reviewed the three best projector screens for 2017 you can own right now. If you’re looking for a simple projector screen that will suit any budget, the Silver Ticket Products Projector Screen might be the one. Sure, there are plenty of projection screens in this price range that look like they have more features. But in order to pay for those features they have to sacrifice on quality. Careful engineering means that this screen can provide you with an excellent viewing experience for a rock bottom price. While many projection screens take advantage of highly specialized coatings to create a very specific type of image, this screen has a unique vinyl material. With any affordable screen, this is a good thing to see. With a cheap coating, you may get flaking or peeling after some time. The screen material has a gain of 1.1, which is a pretty standard luminescence level. The viewing angle is 160 degrees, so you can watch a movie from virtually any part of the room. The screen is available in sizes ranging from 115 to 139 inches and is capable of displaying sharpness at a resolution of up to 1080p. It’s also suitable for watching 3D content, should your projector support it. The image was actually quite impressive. There was good contrast between the dark and the light. Colors were clear, vibrant and unchanged. Overall, the viewing experience is perfect for anyone that doesn’t intend to upgrade to 4K. Getting this projection screen all set up will take a little bit of work, but fortunately there is nothing too challenging. Opening up the box you’ll have the screen itself, four pieces of the frame, four mounting rods, and finally some fasteners. Each side of the screen has a loop in it. You need to slide the rods through the screen just like you would with a tent. Next, you have to lay out the four frame pieces, attaching a fastener to each corner. The whole system then clicks together, making a solid unit. It’s certainly not the easiest screen to put together, but the process only takes about 10 minutes. Once assembled, you can simply mount the screen to your wall and start enjoying it! The fact that the design is reasonably simple means that the manufacturer was able to use some high quality components. The frame is made out of a rigid aluminum, which should stand up to any potential bumps or scrapes without issue. The frame is over 2” wide, making it quite sturdy. The display itself is made from a material that’s a little thinner than we are used to seeing, but it should still hold up quite well. The biggest concern with the screen is that it will warp and become uneven with time. Although this is a very realistic possibility with some, the screen is actually stretched slightly when mounted in the frame. This keeps it taut, so it will be much less likely to warp over time. 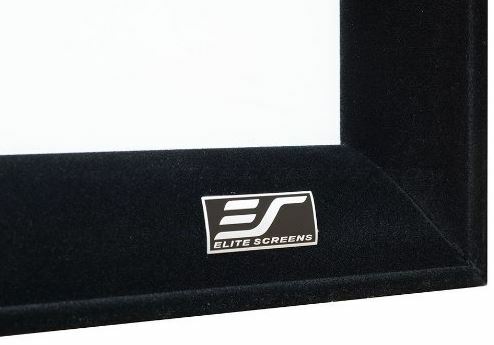 If you’ve spent much time shopping for ultra-high end home theater equipment, you’ll probably be familiar with Elite Screens. They make projection screens for the connoisseurs of home theater, ensuring that every product they release is approaching best in class. 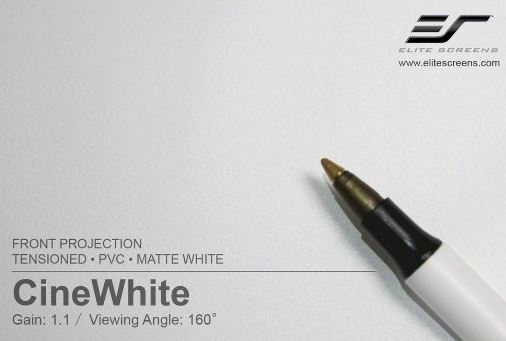 With the Elite Screens Sable Frame B2 Series, the screen itself is made from a material called CineWhite. It’s designed specifically for home theater and provides an experience that is significantly improved from basic materials. Generally, most materials have a tendency to slightly disperse or absorb large amounts of light so the detail is slightly blurred. But this material is incredibly detailed, allowing you to watch 4K content in it’s natural, crystal clear form. You certainly notice a difference with this material. Colors are a little more vibrant and lively, the contrast is sharp and clean. But the most impressive thing about this screen? It’s BIG. There are very few projection screens available that are larger than this. And the ones that are available likely won’t fit in your living room. From a regular seating distance, this screen really does give you the true movie theater experience. The only thing that’s missing is the popcorn. Putting the screen together is a pretty straightforward process. You’ve got the screen itself, and four pieces of the frame that go around the screen. Simply flip everything upside down, attach the frame, then clip the screen onto the back. Two people could have it together in only a few minutes. As far as non-retractable screens go, this one is the easiest to set up. 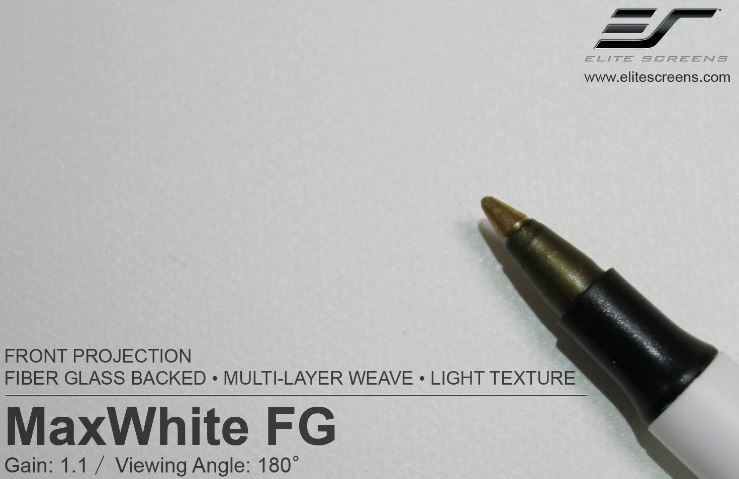 The CineWhite material is thick, durable, and very high quality. You’re certainly not going to see ripples appear over time like you would with some screens, nor will you suffer from degradation of the surface. It’s designed to be mildew resistant, and can be washed easily with soap and water. The frame itself is also very well made, and coated with a professional grade velvet material. Not only is it soft and durable, but it has a very executive appearance. 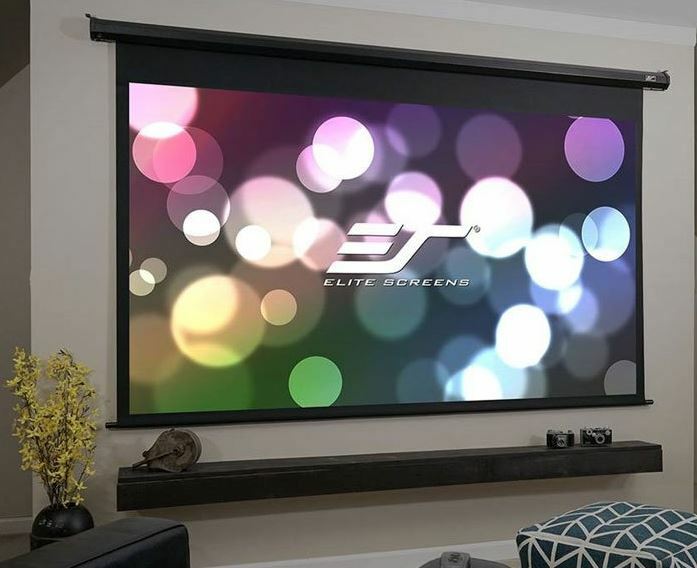 If you’re looking for the ultimate in home theater screens, look no further than the Elite Screens VMAX2. This large screen has a few small tweaks to improve picture quality, but a few major ones that drastically improve usability and let you set up a hidden home theater in virtually any room. As far as projector screens go, this is as good as it gets. The screen is made from a material called MaxWhite FG. This is a very soft, loose material that has some impressive visual properties. The image is essentially unchanged from when it left the projector, giving you the best possible representation of your movie. It’s detailed enough that you can watch 4K content and still pick out every little detail on the screen. In fact, some would argue that you’ve never actually seen 4K content until you’ve looked at it on a projector screen. With smaller TVs, your eye can’t make out all the details. But at 120″, you’re certainly coming close. 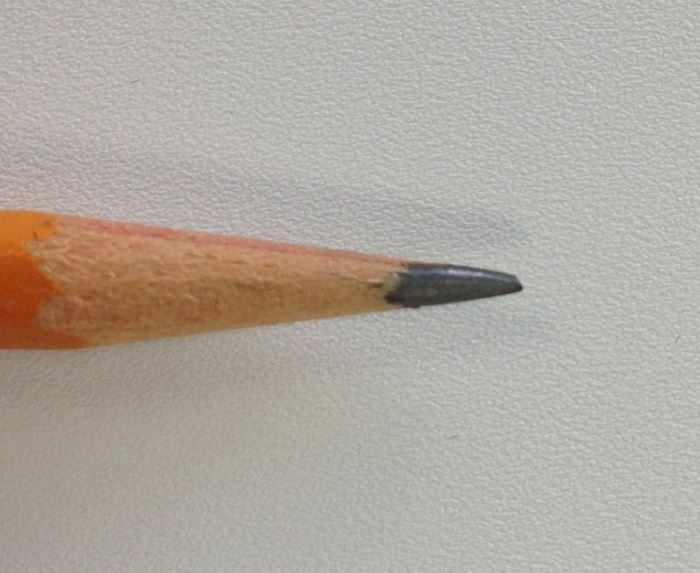 In our tests we found that the image didn’t just look good, it simply came alive. Contrast was perfect, separating the most minute details from each other with ease. Colors stood out almost like you haven’t seen them before. As long as you’re using a high end projector, you’ll truly appreciate spending a few extra dollars on this screen. When it comes to setting up projector screens, you can’t really get any easier than this. 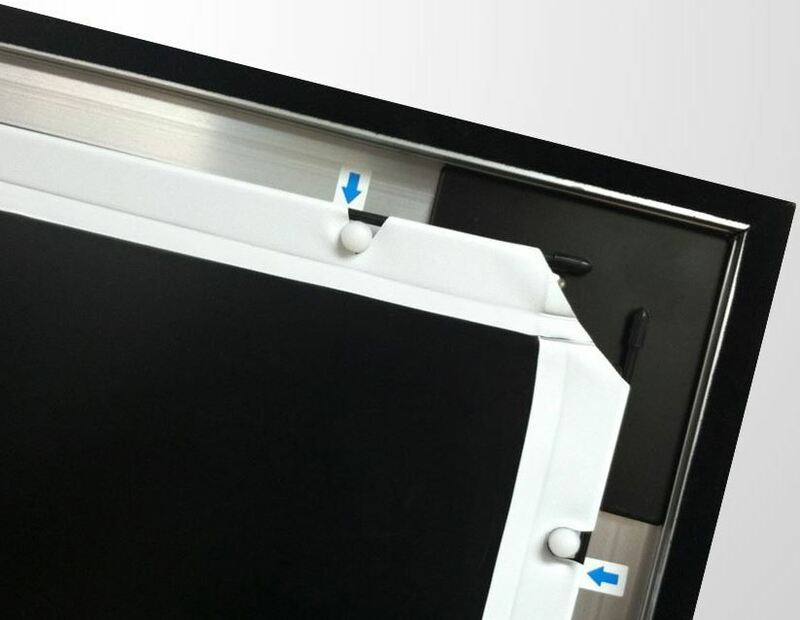 The VMAX 2 is a roll up screen, so it comes shipped in a large metal cylinder with mounting points on it. Simply place it on the wall, throw in a couple screws, and it’s up for good. Obviously, nobody wants to have to get up, reach all the way to the ceiling, and pull the screen down. That’s why it has dual motors that will automatically raise or lower the screen at your call. You’re given a choice of three control options. First, you’ve got the RF remote. This remote doesn’t need a direct line of sight, so even if you build a frame around the screen you can still control it. However, it does use a little more battery than the others. 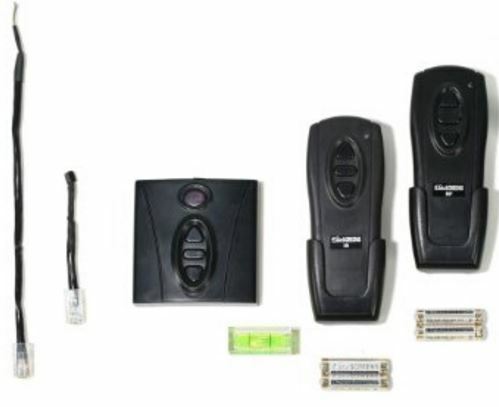 Next you’ve got the standard IR remote, just like your TV uses. Finally, some projectors or home theater systems support controlling the screens position remotely. You just run a CAT 5 cable, which is included, from the screen to the projector. Then your screen will come down automatically when the projector is turned on. Could it get any easier? The entire screen is encased in an ultra-durable metal frame that’s unlikely to sustain any damage, even if dropped. Because the screen rolls up, you’ll never have any problems with dust or dirt. The only issue with some of these rolling displays is that they do not roll evenly. This can lead to deformation of the screen if left too long. Fortunately, there is a winding spring inside that make sure the screen can be put away safely and evenly. In the unlikely event something does go wrong, the manufacturer provides a two-year warranty. So, Which Projector Screen is Right for Me? Either of these projection screens would make an excellent addition to your home theater. To find the right one, you’ll want to know how and where you intend to use it. 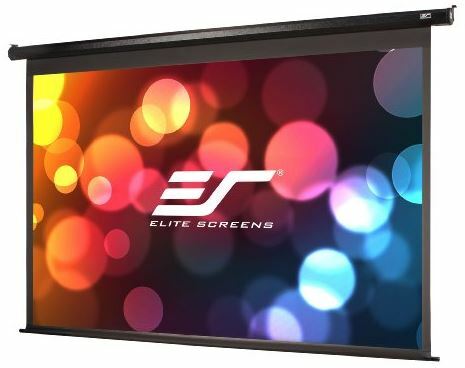 For virtually any situation, the Elite Screens VMAX 2 is an excellent option. Since it rolls up, it’s not going to take up a huge amount of space on your wall. You just place it up high where it’s out of sight, and roll it down when it’s movie time. The high quality material means that it’s perfect for use with a 4K or 3D projector, giving you the best possible image quality. If you haven’t picked out a projector yet, we highly recommend that you check out our review of the excellent Epson 5040Ube 4K projector. 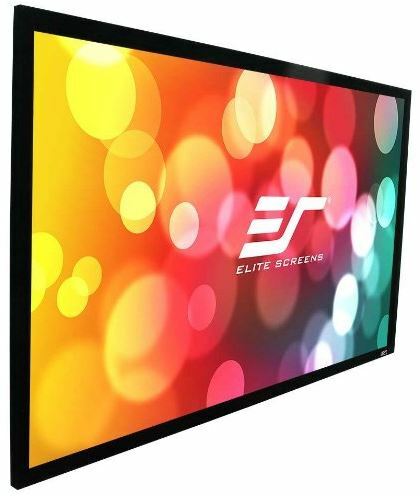 If you want the largest screen possible, the Elite Screens Sable Frame B2 Series is the perfect choice. It’s got a massive 132” viewing space, which is pretty much the biggest on the market. It does need to be wall mounted, but many people find that this has a much more professional appeal. If you’re ready for a dedicated home theater room, you’ll be pleased with this screen. Perhaps you’re just looking to get an affordable screen. 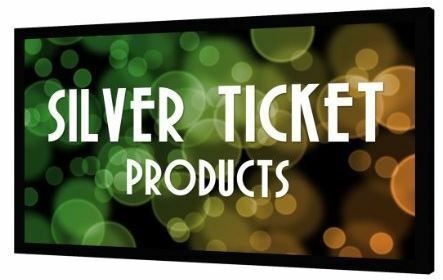 With so many terrible screens in this price range, the Silver Ticket Products Projector Screen is a breath of fresh air. They focused on creating what was important – a screen that looked good. For the price, you’re certainly not going to find better. The only downfall to this screen is that it’s not defined enough for 4K content. On the plus side, that means that there are plenty of great 1080p projectors (like the Optoma HD27) that can be picked up fairly inexpensively.